What if there was something that was both simple AND free that could radically transform you, your life, your relationships, and your health? What if it could not only elevate your mood, help you feel more connected, and help you become a better, more likeable, and more trustworthy person but also help lower levels of inflammation, help you cope with stress, reduce anxiety, boost energy levels, reduce the severity/symptoms of illness, and even improve your sleep? Would that be something you’d be interested in? We thought so. 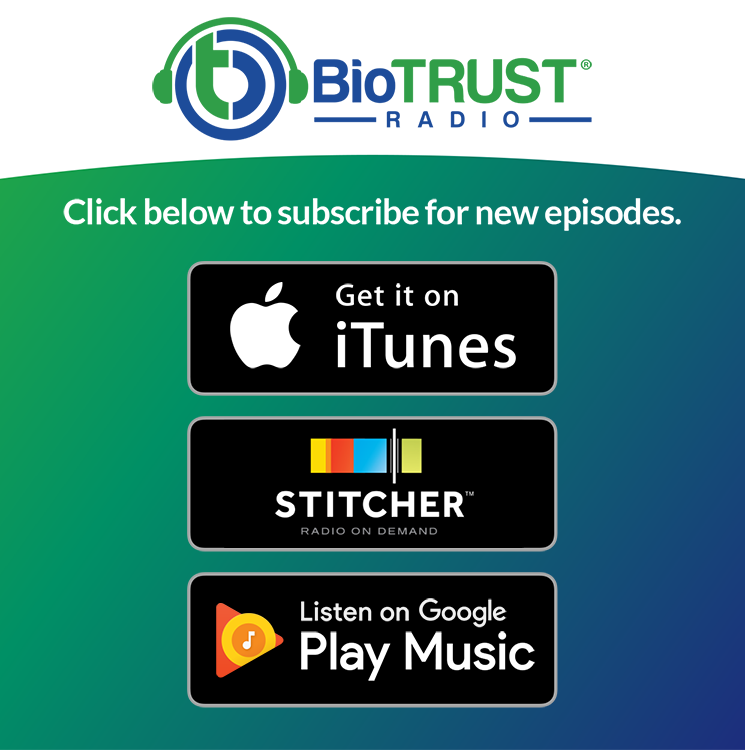 This little something is gratitude, and in this episode of BioTrust Radio, we’ll help you harness the power of gratitude by sharing 60 things that nearly everyone can be grateful for. Enjoy! Tell them something that you’re thankful for them (and why). Acknowledge their area of genius. Ask how you can be of service to them. 60 simple, everyday things in life — including many that we take for granted– that we can all be grateful for. It’s never too late to reach out to say “thank you” to someone who impacted you and your life. One of the most important things you can offer others is your undivided attention (and time). This is why you need to be present when someone reaches out to you to share something important or ask for help. How mindfulness and awareness are critical to capturing the beauty in life and actively practicing gratitude. What about you? What are you grateful for? Who are you grateful for? We encourage you to take the time to acknowledge what and who you are grateful for. Please feel free to share in the comments below and our Private VIP Community. And if you’re not already, we encourage you to participate in the 30-Day Gratitude Challenge and recognize those people who have had a positive impact on you and your life.